Encouraging news – The California Association of Realtors held their REALTOR ® EXPO in Anaheim the first week of October. Vice President and Chief Economist, Leslie Appleton-Young reported that with more available homes on the market for sale, California’s housing market will see fewer investors and a return to traditional home buyers as home sales rise modestly and prices flatten out in 2015. Please enjoy. Should your plans include real estate purchase and sales, please call or email with questions – and as always, thanks for your referrals! The California Association of Realtors released their report on California existing home sales and median prices in July. The statewide median price rose over the 12 months ending in July by 7.1% to $464,750. Although June marked the end of the 23 months of double-digit prices increases, the median single-family home price in California has now risen on a year-over-year basis for 29 months. Selling any home is a challenge. That’s been especially true in 2014, a year in which the number or existing-home sales has fallen. And if you’re selling a high-end luxury home, one with a price tag higher than $1 million? Then selling your home is even more of a challenge. Luxury home sales peaked in late June but by the first of September the market crossed over into a buyers’ market for the first time since early spring, though not strongly so. Median luxury prices also have been falling since the end of June, according to weekly market reports from the Institute for Luxury Home Marketing. Last week ILHM’s Market Action Index, which is calculated from active listing data from Altos Research, fell to 29. The Market Action Index measures available supply relative to the current level of demand. Index value above 30 indicates conditions favor the seller. The index reached a season-high of 31 in late June. Days on market also rose to 153 last week, the highest it has been since the end of March. The total luxury inventory of 23,802 have stayed near 24,000 and have yet to decline significantly with the end of the sales season; strong inventories were a factor in the switch from a sellers’ to a buyers’ market. The ILHM Luxury Composite Price this week is $1,312,295, or an average asking price of $359 per square foot. With the end of the summer, more and more sellers are eager to sell. 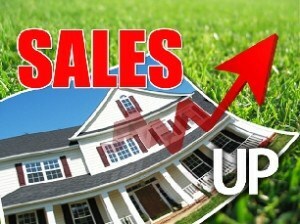 Price decreases rose to 38 percent of all listings and only 4 percent of current listings have raised their prices. 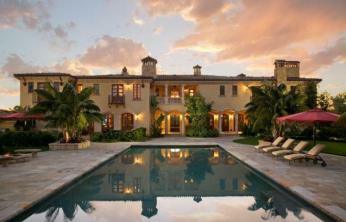 Some 11 percent of currently luxury listings have been relisted. The declining market activity is widespread. In 18 of the report’s 31 markets, activity was down in the first week of September. Only Chicago, New York, San Diego and Philadelphia reported market increases. Homes in the ILHM sample each week are on the market for at least $500,000 in the top 10 zip codes for 31 major metro markets around the country. While the term “luxury” can be subjective, a luxury home or luxury real estate is generally defined as a property priced within the top 5-10% of a given real estate market. In most markets that is a home of value of more then one million dollars in the Los Angeles market it’s defined by an entry-level price of about $2 million. Luxury starts from the ground up, and requires a home to be built on pristine property that usually offers an exclusive view. 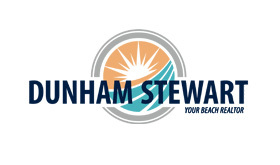 This includes lakefront, mountaintop and ocean-side real estate. There’s nothing mass produced about a high-end home, especially when it comes to the material it was constructed with. Common luxury materials include hardwood, marble and granite – all of which carry a timeless beauty, and are built to last. Luxury calls for a clean and crisp design that is timeless rather than on-trend. Too much clutter can appear cheap rather than chic. That’s why luxury features the very best of a home’s collection, resulting in a richer look. In an upscale home, every element of the house works together in harmony. A luxury home can be classic, contemporary or transitional, but conforms to a consistent style of architecture, furniture, décor and landscape. Detailed décor finishes off a luxurious look, and is handled with the same amount of care and thoughtfulness as constructing the home. While luxury can be bought, it can’t be mass-produced – so decorating an interior to be luxurious takes time to get to details just right. According to the latest TrendGraphix reports for the beach cities for the period May 13th – July 13th compared to the same period last year you will see the number of properties for sale increased in Hermosa, Redondo and El Segundo however decreased slightly in Manhattan Beach. Although months of inventory have increased since the same time last year, we’re looking at approximately 1.9 months of available inventory for most of the beach cities including El Segundo. Pending home sales in the West inched 0.2 percent in June to 95.7, but remains 16.7 percent below June 2013. One of the oddest things about this current housing market is the dwindling amount of supply. For areas like Los Angeles and nationwide, total housing supply has been on a downward trajectory since 2010. While an environment of rising home prices, less supply, and hungry buyers would lead you to believe that more home building would be occurring, not much of that has actually happened.Though the housing market is recovering nicely, it is not doing quite as well as some analysts had predicted. There has been no shortage of excuses offered as to why this is: the rise in interest rates, more stringent lending standards, the weather. However, we feel that there is one factor that is most responsible for curtailing the number of houses sold – the number of houses available for sale! History shows us that a balanced real estate market requires a six month supply of available housing inventory. 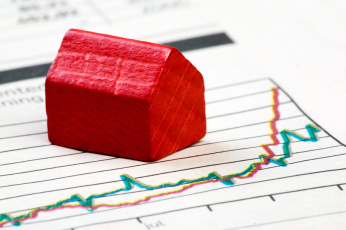 The National Association of Realtors released their Existing Homes Sales Report last month. The report revealed that we are still only at a 5.5 month supply of homes for sale. We have not reached the 6 month mark in over two years. 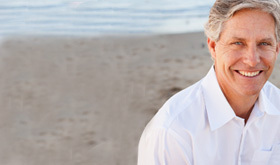 The recent increase in buyers now looking will again put a strain on this number. . Though most real estate market observers have been predicting that rising home prices would drive investors out of the market for single family homes, that fact is that investors have purchased more homes than they did in all of 2012 or 2011. Investors have purchased more than 370,000 properties so far in 2013, which is already more than in either of the previous two full years according to a new investor insight report released today by RealtyTrac. 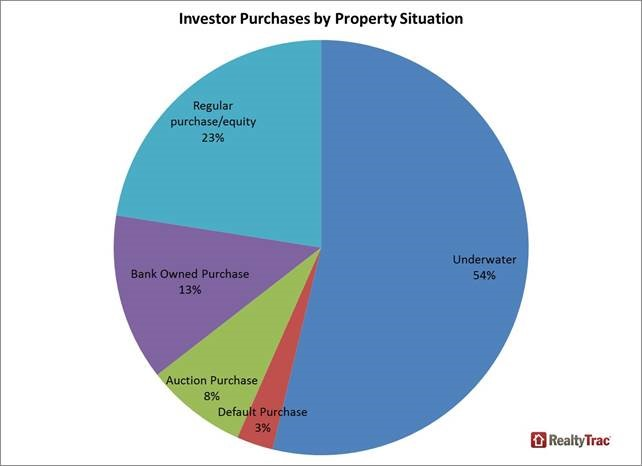 The Real Estate Investor Purchase and Finance Patterns: 2011 to 2013, looks at a number of investor habits relating to real estate purchases since 2011, including the volume of properties purchased, breakdown of cash versus financed purchases, property situation (distressed, non-distressed, underwater etc. ), investor purchases by property value, and number of investor-purchased properties that have since resold. A couple of interesting findings 1) Investors have purchased more than $1 trillion in US real estate since 2011. Fifty-four percent were all-cash; 2) Among all investor purchases during the time period, 57 percent have subsequently been re-sold. 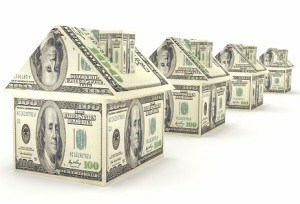 The smart money still sees the real estate market as a solid long term investment. Redondo Beach Real Estate Normalizing? The red hot Redondo Beach housing market may be showing signs of a normal market. The median home price in July remained flat from last month. 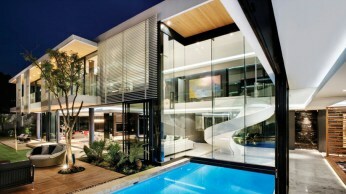 The slow down in appreciation came with a surge in the number of homes sold which indicates a growing supply of homes. 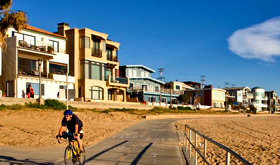 101 homes sold in Redondo Beach in July of this year compared with only 70 homes in July of 2012, an increase of 40%. The latest sales figures are the highest number of Redondo Beach homes sold in July since 2003. Sellers who had been on the sidelines waiting for better prices are now deciding it’s time to sell. If you noticed a lot of “For Sale” signs in the neighborhood, you were right. Even though interest rates have drifted upward, buyers remain anxious and homes are selling quickly, usually with multiple offers. I am working hard helping people make there real estate dreams a reality. Let me know if the time is right for you. South Bay housing prices continued to climb in June, according to new statistics released by the South Bay Association of Realtors. The average prices of a single-family home in the South Bay increased 7.1 percent while the average price for a condominium or townhome jumped more than 29 percent, compared to one year ago. In June, the average price of a single-family home in the South Bay rose to $706,797 compared to an average price of $660,084 in June 2012. The average price for a condo or townhome in the area currently sits at $577,405 compared to $446,784 one year ago. 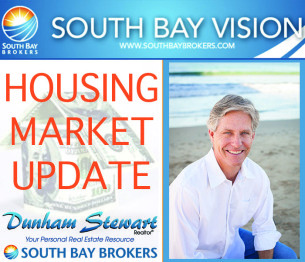 Even though the report indicates that home inventory is in short supply which is helping increase housing prices, the South Bay housing market appears to be more stable than it was at this time last year. Data for June was compiled by the SBAOR using the California Regional Multiple Listing Service, Inc. (CRMLS). Cities surveyed included Carson, El Segundo, Gardena, Harbor City, Hawthorne, Hermosa Beach, Lawndale, Lomita, Manhattan Beach, Redondo Beach, San Pedro, Torrance, and Wilmington. Young, first-time buyers are struggling to purchase a home. With low inventories of homes for sale, young first-timers are finding themselves competing against other bidders who are willing to pay cash. Meanwhile, many young buyers are having trouble qualifying for a loan, often due to high student loan debt. The number of first-time home buyers has been steadily falling in recent years. In May, first-time buyers accounted for 28 percent of existing-home purchases — a drop from 34 percent a year ago, according to NAR. Overall, young buyers have been left out of the housing recovery more than any other age group, according to a new USA Today analysis. The home ownership rate for 25 to 34 year olds has gone from 46.7 percent in 2006 to 29.7 percent in 2011 — a decline of 7 percentage points. The median age of first-time home buyers was 31 in 2012, according to National Association of REALTORS® data. As comparison, the 45-54 age group has seen home ownership rates fall 3.8 percent. First-time home buyers are viewed as critical to a healthy housing market, allowing older Americans to purchase their next home and helping to stimulate new-home construction.